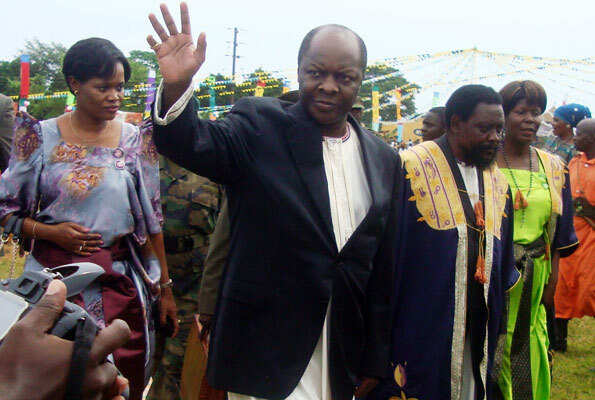 Speaking during the Buganda independence anniversary celebrations on Monday at Kibanda Primary School in Kalangala District, the Kabaka said despite the challenges, the kingdom had remained united. Under the theme, “Increased voluntary service and more respect for the environment,” for the celebrations, Kabaka Mutebi advised residents of Ssese Islands to protect the environment and the beauty of the islands. The Kabaka also launched the Kalangala District Tourism Master Plan aimed at developing tourism sector as a source of revenue. One of the main sites to be developed is Lugo Forest, from where the rod, which the Kabaka hands over to the Katikkiro during his appointment, is obtained. It is the only forest in Buganda where the stave has been obtained for centuries. Buganda parliamentary caucus chairperson Godfrey Kiwanda Ssuubi said they (caucus) had put aside their political differences for the cause of Buganda Kingdom. “Whenever Buganda issues are discussed and whenever we are confronted, we will always have to agree on a common position,” Mr Ssuubi told the Kabaka.